Why should you use GSA for your outbound calling? Our clients tell us that amongst the reasons they work with us is that we provide sound and unbiased advice and that we offer a no surprises approach with transparency that’s hard to find elsewhere. That means we work in partnership with our customers to never over-promise and under-deliver. Our management team first seeks to understand clients’ business and what they’re trying to achieve before suggesting whether we can help. The support we offer could be for a traditional telemarketing campaign, database building, customer research or running a telemarketing training course. It could also extend to lead generation via LinkedIn. We offer an intelligent approach to cold calling and lead generation. Reinforced by fantastic reporting and high levels of communication, this provides a recipe for success. Before setting up GSA, Jonathan spent 16 years in senior sales and marketing management with Cover Girl, Alfred Dunhill, Montblanc and Porsche Cars GB as Head of Marketing. He is a sales and marketing guy through and through. Jonathan has strong client-side business development experience in sales and marketing in both b2c and b2b. He has undertaken consultancy in the past for Bentley Motors Ltd, Marsh McLennan, Tanner Krolle Ltd (formerly part of the Chanel Group), Capita and Group 4 Securicor. For several years, he presented monthly seminars on Marketing and Data Protection for the Institute of Direct Marketing and the Chartered Institute of Marketing. Jonathan is responsible for sales and marketing at GSA and also runs client strategy sessions including ‘route to market’ strategy before commencement of any campaign. 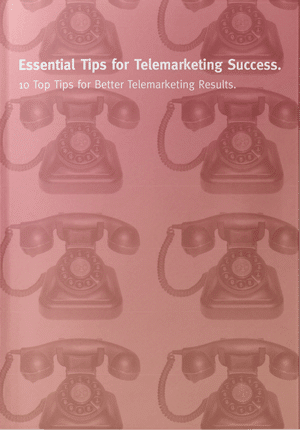 He runs regular telemarketing training courses for clients. Check out his testimonials. Jonathan regularly presents on lead generation topics and produces of videos, podcasts and blogs to help companies grow their business. Jonathan is a regular at the gym and spinning classes, a fluent French speaker and a lifelong Arsenal supporter. Got something interesting for Jonathan? Kevin has been involved in business to business telemarketing for over 17 years, 10 of which being in senior management. His expertise is in building long term partnerships with all types of organisations both large corporates & SMEs. He has worked successfully in the past with companies such as American Express, Pearson Education, Western Union, Lloyds, EDF Energy, Mars & Bibby, Honeywell, Love2shop, Hong Kong Trade Development Council & many others. He has a proven track record & understanding of how a campaign works not only to exceed targets for top-line results but to produce healthy pipelines for future opportunities. His understanding of data issues & purposeful analysis has helped many of his clients succeed in producing confirmed business/sales giving them an excellent ROI. Kevin has also produced & delivered a comprehensive three-stage training program to develop telemarketers & telemarketing teams in all aspects of business to business telemarketing encompassing, benefit analysis, approach, questioning, objection handling and moving on to a the successful outcome. He has also managed teams of up to 30 telemarketers delivering consistent results on multi language campaigns in the UK, Europe & Globally. Kevin loves walking, good food and drink and is, sadly, a Tottenham fan! Got something interesting for Kevin? We carefully select our telemarketers and reject more than we take on board. Our UK team is made up of high-quality individuals that we train for each campaign. No students or jobbing actors. Just mature, committed individuals that want to make a difference for our clients. They are therefore able to ‘engage’ and have peer to peer conversations with prospective clients to build rapport and identify their company problems (Pain) or opportunities (Gain) that our clients can resolve. That ensures that they deliver quality appointment setting for our clients. Our clients have direct contact with their telemarketers and benefit from dedicated callers that operate seamlessly as part of their sales team. They also represent our clients’ business how they would like it presented. In addition to our UK team, we have identified carefully chosen partners to allow GSA to offer larger scale multi-lingual telemarketing capabilities. We have carried out a number of successful international campaigns for large global organisations.